Adventurous experimental instrumental (progressive) music with lots of melody. 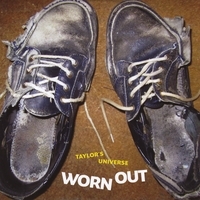 This is the 12th release by Danish progressive jazz-rock group Taylor's Universe - led by composer/multi-instrumentalist Robin Taylor. The group was formed as a studio experiment in 1993, and many fine players have taken part in the recordings over the years - including reed player Karsten Vogel (Secret Oyster), Michael Denner (Mercyful Fate), and many others. The albums of Taylor's Universe have all been highly praised by the international media.